Jon is a Vocational Rehabilitation Consultant with MassMutual Financial Group in their Disability Income Department. He has been with the company since 2010 providing a wide range of vocational services to assist in the adjudication of claims. He attended Springfield College in Springfield, MA where he received both undergraduate and graduate degrees. While in graduate school Jon worked for the Massachusetts Rehabilitation Commission (MRC) providing vocational rehabilitation services to individuals with physical and developmental disabilities. 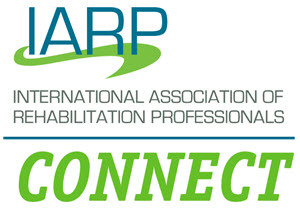 Jon was the 2011 IARP Student Paper Scholarship Award winner for his presentation on Ethical Implications for Insurance Rehabilitation Practitioners. He presented his work at the IARP National Conference in Scottsdale, AZ. Jon currently resides in Florence, MA where he serves on the Board of Directors for the Florence Civic and Business Association and is a member of the holiday lighting committee which is responsible for putting up Christmas lights throughout the village center. He is also on the Board of Directors of the Northampton St. Patrick's Association where he is involved in several charity events throughout the year. Jon also works as an adjunct professor at Springfield College in their Rehabilitation and Disability Studies graduate program.